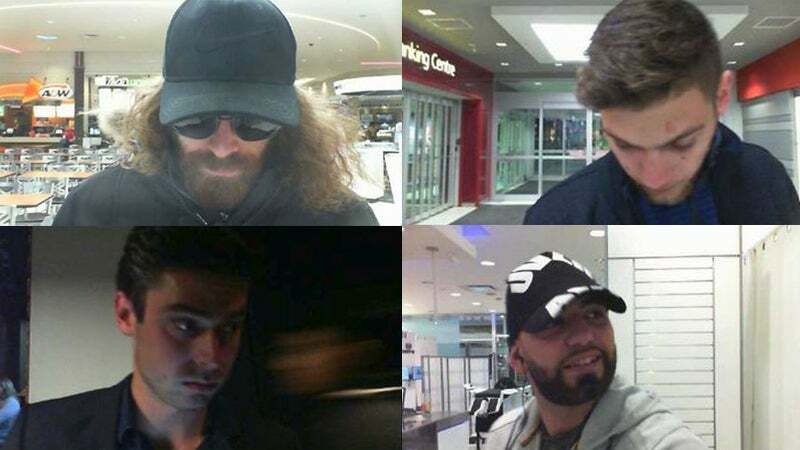 A group of bitcoin bandits hit paydirt by taking advantage of buggy cryptocurrency ATMs in seven Canadian cities, according to police, netting a $276,110 score and Toronto police are asking for help identifying the suspects. The fraudulent transactions took place over a 10-day period from September 16 to 26 last year, and targeted a whopping 112 bitcoin ATMs. Toronto police published a news release and photos on Wednesday as the suspects are still at large. It’s thought the attacks took advantage of the so-called ‘double spending’ problem with digital goods that cryptocurrency is fundamentally designed to address. (For simplicity’s sake, think of it as abusing credit card chargebacks.) All of the attacks were carried out against the ATMs from one specific company, which authorities declined to name. Previously, thieves have crowbarred open a bitcoin ATM in Texas (presumably for the cash inside), and others in the Netherlands just stole the entire machine, neither of which were likely as lucrative.